In my book, you can keep your diamonds…mimosas are a girl’s best friend! 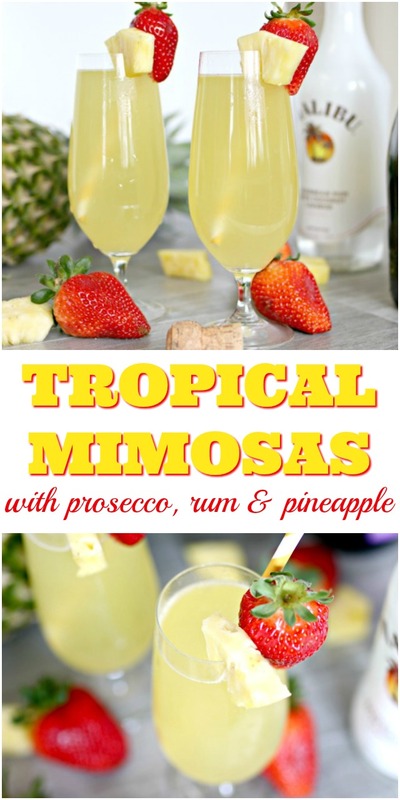 These Tropical Prosecco Mimosas take mimosa drinking to the next level with the taste of coconut and pineapple added to the mix! There is nothing quite like having a mimosa. I have enjoyed many mimosas over brunch, tailgating in the mornings for noon football games, with friends at Keeneland, and well, whenever I can get my hands on one…any excuse is a good one when it comes to partaking in mimosas. I’m sure you get the point…I’m a fan. And since I’m such a fan, I’ve decided to try a few fun ways to kick them up a notch, and this is by far the best one I’ve ever had. 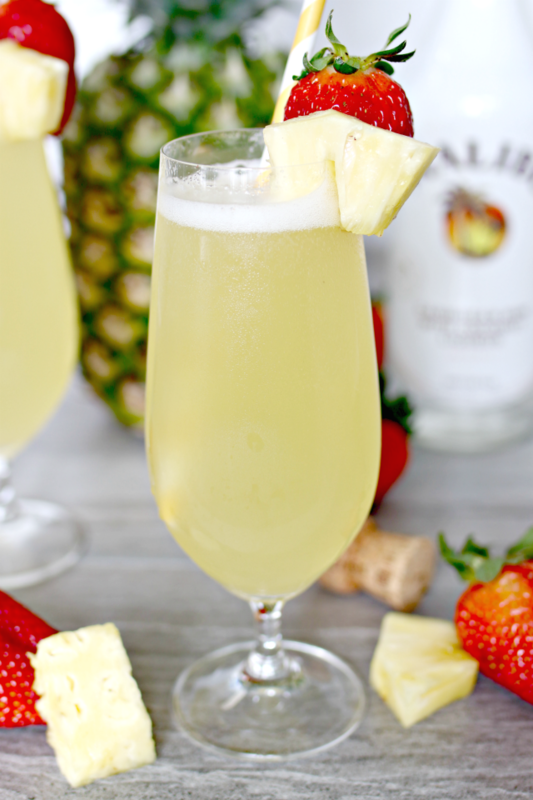 This tropical Prosecco mimosa will take you right to the islands with the addition of coconut rum and pineapple juice. 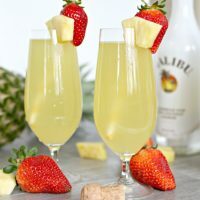 It’s the perfect cocktail for summer and I’ll be serving it at our next brunch too! Step 1 – Mix together 1 ounce of coconut rum and 2 ounces of pineapple juice. Step 2 – Add the mix to a champagne flute and top the glass off with Prosecco or champagne. Step 3 – Garnish with a pineapple wedge and a strawberry. Enjoy! Add coconut rum and pineapple juice together and stir. Add to a champagne flute and top off with Prosecco. Garnish with a pineapple wedge and a strawberry. If you like this cocktail, be sure to check out all of my cocktail recipes HERE! 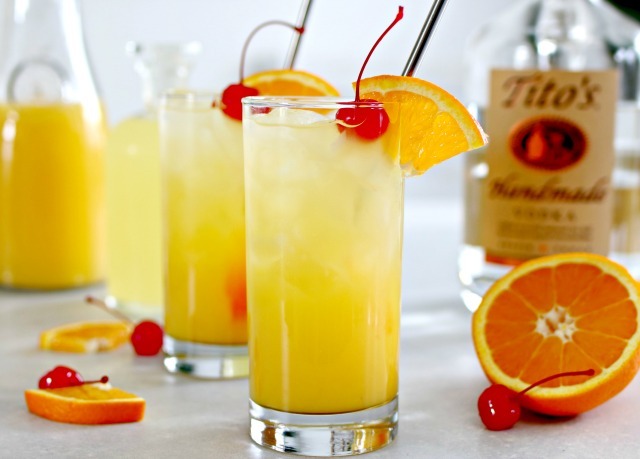 If you love mimosas, then you will most likely LOVE this Black-Eyed Susan Cocktail! 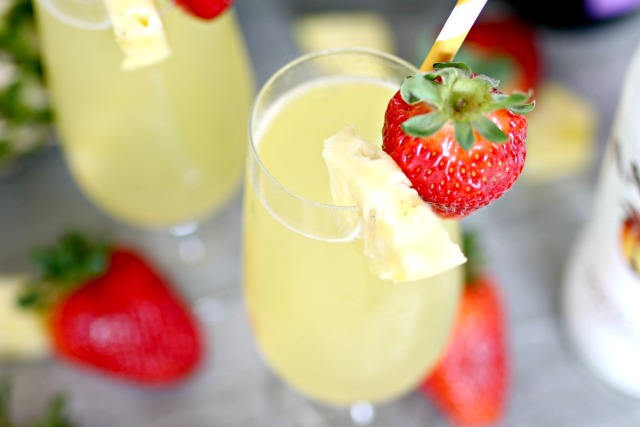 It’s one of my favorite brunch and summer drinks…right there behind mimosas! 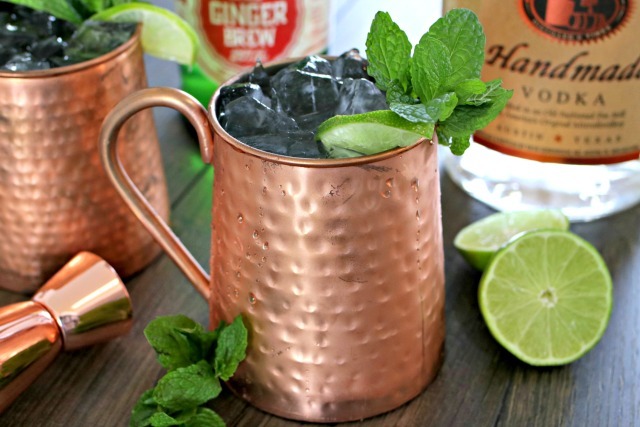 Another delicious and refreshing summer drink that I can’t get enough of is the Classic Moscow Mule! They are so simple to make and fun to drink in these cute copper mugs!